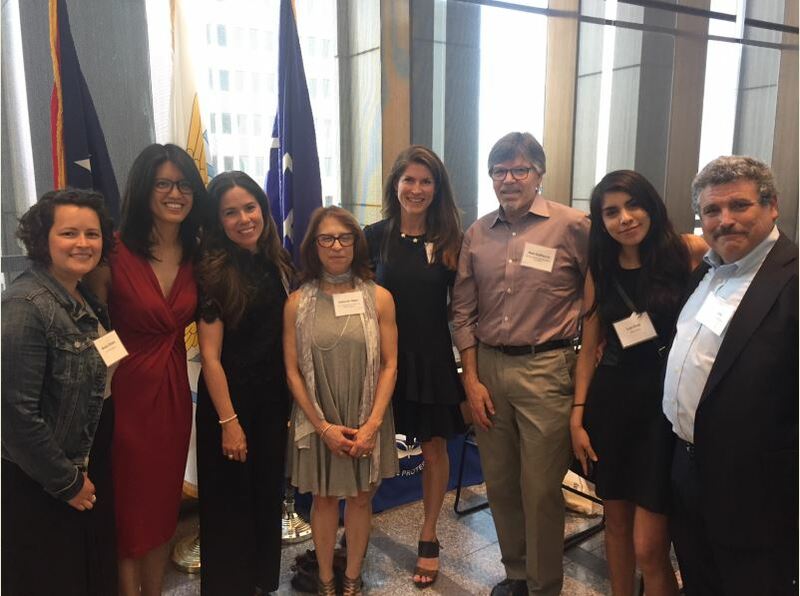 The Department of Environmental Medicine and Public Health at the Icahn School of Medicine at Mount Sinai is pleased to announce that three environmental health partners were honored at the 2017 U.S. Environmental Protection Agency (EPA) Region 2 Environmental Champions Awards Ceremony. They are the Children’s Environmental Literacy Foundation (CELF); the New York City Department of Health and Mental Hygiene’s Healthy Homes Program’s (HHP) Deborah Nagin, MPH; and Puerto Rico-based environmental health advocate and pediatrician Dr. Gredia Huerta-Montañez. The Environmental Champion Award is the highest recognition presented to the public by EPA Region 2. It recognizes those who have demonstrated an outstanding commitment to protecting and enhancing environmental quality and public health. The award ceremony took place on May 19, 2017 at EPA headquarters in Lower Manhattan. The Mount Sinai P30 Transdisciplinary Center on Health Effects of Early Environmental Exposures (TCEEE), directed by Robert O. Wright, MD, MPH and the PEHSU, directed by Maida P. Galvez, MD, MPH, have had the unique privilege of working with these awardees on projects to advance children’s health. This entry was posted in Feature of the Month on May 31, 2017 by mountsinaitceee.